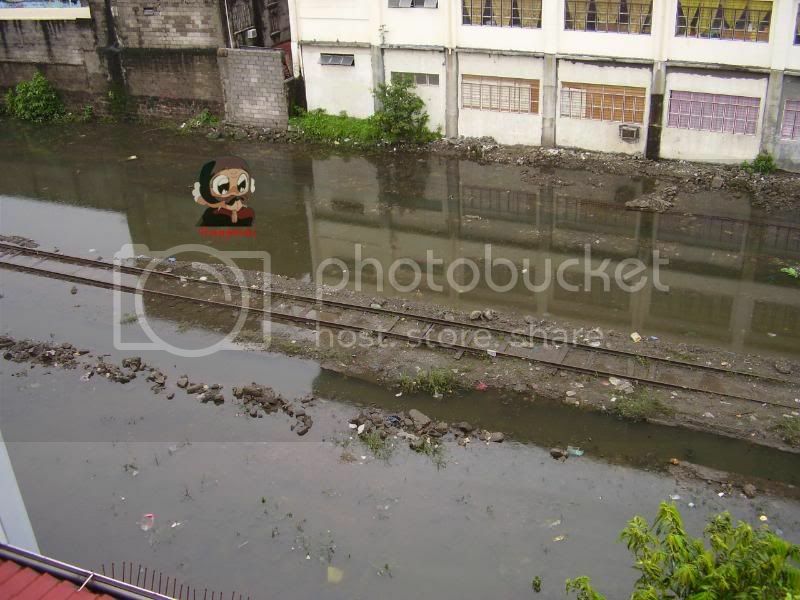 PHOTO: Showing recent floods around Blumentritt - Thanks to Happosai. Tonight we had the monthly meeting of the 'Philippine Railway Historical Society' in Sydney. The largest hurdle brought up during the night was that of board attendance and interest, something that has been affected following the negativity recieved from the Philippines when we decided to change our name to assit in the need to show the separate nature of the two societies. With the reduced amount of people here for the meeting there were only a few items discussed. ** Advertising in the United States has commenced with an advertisment seen in one major publication and word that it has also appeared in another. Prior to the recent problem we were investigating some paid advertising which was to come out of our own pockets and not that of the society. This advertising would be in primary USA magazines where the most people will be found. ** We have had some contact with a major Philippine broadcaster, through and Australian agent, and this has been positive in nature. ** The research project continues apace. I have been mostly concentrating on the diesel era, with Bill Sullivan more the steam era. Paul has been busy getting married and attending to other projects in the Philippines. When he returns he plans to help greatly with things. This will certainly take off a huge amount of the pressure that is on me. The plan is to include research findings in the group magazine, along with anything else that is donated, for all to enjoy. To this end we are always on the lookout for copies of photos, sightings, trip reports and anything else of Philippine railway interest. ** Along Da Riles #3 is approaching completion. Having to compile this one mostly myself, plus a new baby, has put it behind a little. ** The possibility of another preservation project in the Philippines has come forth. This is still in its early days and we hope to be able to outline this more when, and if, things become a little more concrete. Finally I thank everyone who have given their continued support. The Philippine railway hobby is a small one, but together we can work to enjoy it more. # - On a personal note, I am still of the belief we should continue to offer continued support to the RIHSPI as well as any other official rail preservation/restoration project being completed in the Philippines. There is a large non confidence feeling in certain parts of that societies board, but we should not use this as a reason to not support them, thus hurting other members and the people of the country themselves. We MUST put the Philippines first!!! This is why we entered into this project in the first place. A brill practice to begin your day is by having breakfast at Kampung Malaysian Restaurant. A recommended restaurant to meal is Kampung Malaysian Restaurant, if you feel like re-charge your engine prior to your big day in Sydney. Kampung Malaysian Restaurant is positively a landmark need to be toured anteceding making tracks Sydney.